Our Children’s rooms offer bright, clean and safe environments for your children to play in. Each room is well resourced with a huge array of toys that are rotated daily to keep your children engaged and learning. We have three main rooms with an additional pre-school program run by our talented Early Years Teacher, Agnes. Our Kiah room takes babies from 8 weeks to 24 months. With 3 different sleeping rooms, an individual outdoor area and pergola, your baby will love their time here. 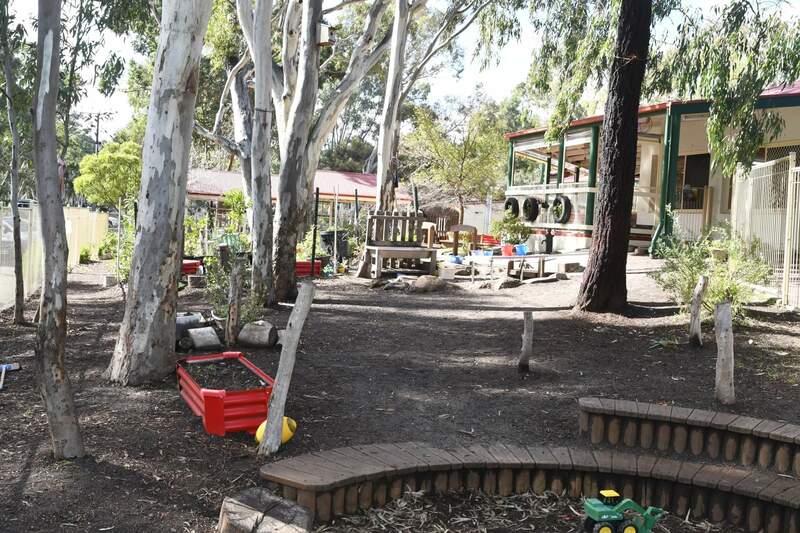 The Minbalup Room has access to the adjoining library, pre-school room and large pergola play area. Children from 3 – 5 years old move through these rooms. 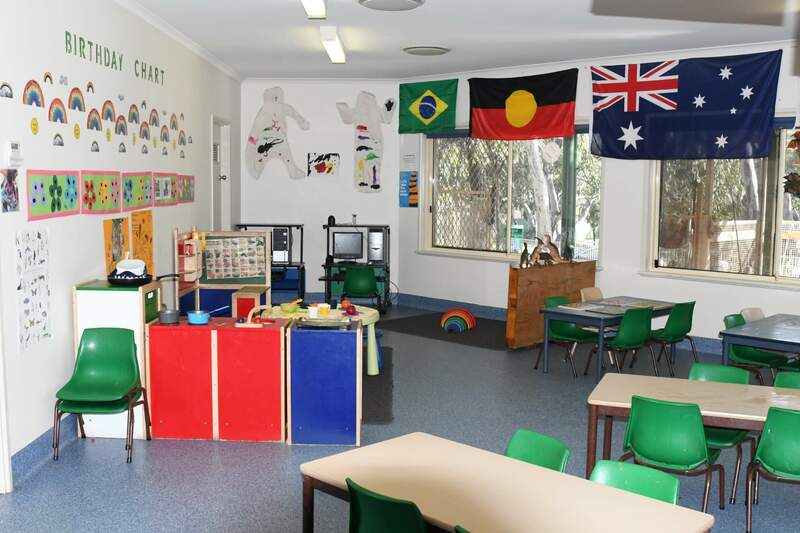 Our Quindalup Room takes your little munchkins from 2 – 3 years old and helps transition children into more independent and rambunctious environments. Kindy children can access our onsite pre-school program prescribed by the Department of Childhood Development from 4 years, in accordance with their school entry timing. We undertook major building works in 2016 to bring some wonderful changes to our service in the way we utilise the spaces we have. These were completed in May 2017. 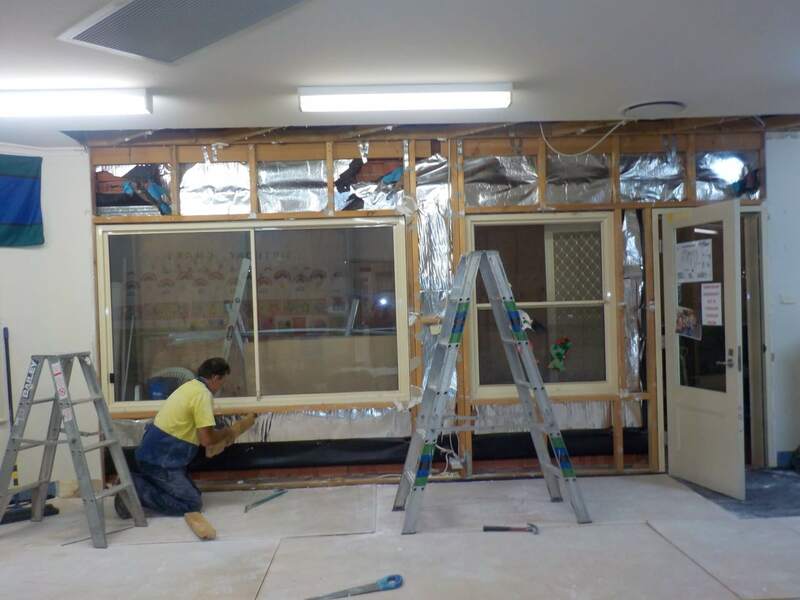 In the Minbalup Kindy area, we created an entirely new room to use for smaller groups of older children and our Universal Access Pre-School Program. We installed an operable wall into the middle of the main space so that the room can be used by different groups of children at each end. We also put a large glass bi-fold door into the exterior wall that leads onto the verandah. This has opened up the space and invites great natural light from the outdoors. The children now enjoy a wonderful indoor / outdoor play area that is especially useful in the rainy winter months. We gave the reception area a facelift as well, with a new counter built for the reception area. 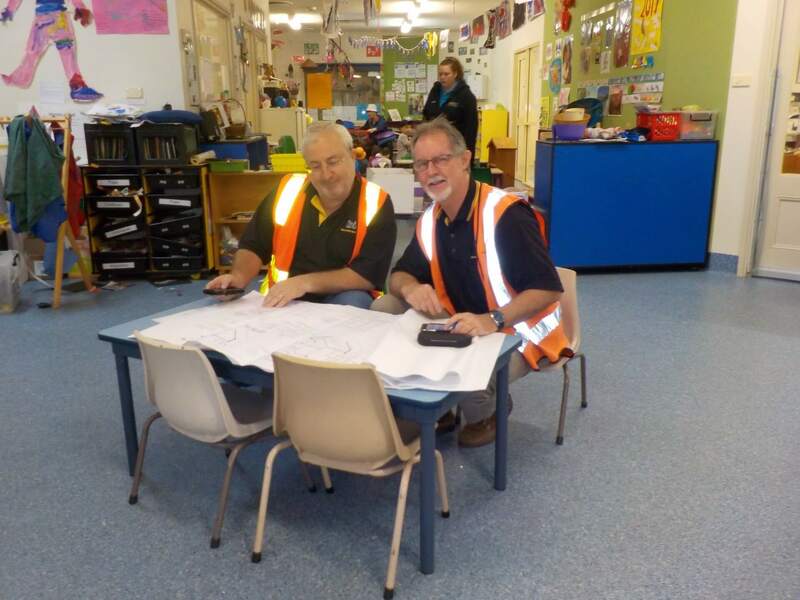 The changeroom between Quindalup Toddler Room and Kiah Infant Room got a major overhaul with new paint, cabinetry and floor coverings to really modernise the area after 20 years. The builders were very respectful of children’s routines and ensured minimal disruption. In fact, the children were very curious about the changes to their spaces and had many questions about how the builders were progressing. By the end of the build they had become firm friends. Outdoor pergola play area with cafe blinds to protect from inclement weather. A variety of fantastic playground equipment that is rotated regularly.